Choroidal Osteoma: Note that the tumor surrounds the optic nerve and it has a relatively light color. There is pigment over the tumor surface and it has scalloped edges. In this case (and at this time) no subretinal neovascularization is present. Choroidal osteoma are boney tumors that can grow within the eye. They arise within the blood-vessel layer “choroid” beneath the retina. Choroidal osteoma are usually found near the optic nerve and can cause vision loss. The choroidal osteoma impedes the circulation to (and harms) the overlying retina and can be associated with overlying retinal atrophy and adjacent subretinal neovascularization (or, the formation of new blood vessels). 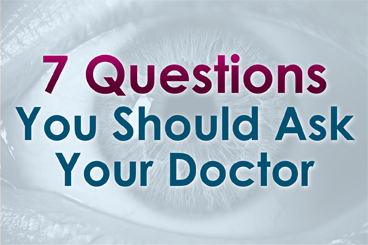 Most choroidal osteomas do not cause any symptoms. They are found on routine eye examination. However, they can be associated with the development of subretinal neovascularization (particularly at the edges of the osteoma). If in the center of the macula, the blood and neovascularization can cause distortion or loss of vision. A choroidal osteoma is characterized by bone in the choroidal vascular layer of the eye. These bone deposits are more likely to be found near to the optic nerve, and they are relatively flat (typically less than 2 mm thick). By looking into the eye (i.e., performing an ophthalmoscopy), your doctor will see the yellow tumors, scalloped edges, formed vessels within the tumor, some pigment clumping on its surface, and, rarely, blood associated adjacent subretinal neovascularization. In the adult or peripheral form of the disease, the doctor might just see the tumor eroding through the overlying retinal pigment epithelium like the tip of an iceberg. In these cases, the extent of the base of the tumor might only be measured by ultrasound imaging. Photography is used to document the choroidal osteoma size and shape. Baseline photographs are helpful for subsequent evaluations for growth and neovascularization. Fluorescein angiography: Since a choroidal osteoma is made of bone, when fluorescein dye circulates through the eye, it will be slow to penetrate the tumor. Once the fluorescein dye is inside the choroidal osteoma, it also has trouble getting out. This is why the fluorescein pattern of choroidal osteoma is one of slow uptake and persistent “late” fluorescence. Ultrasound: Ultrasound examination of an eye with a choroidal osteoma will demonstrate intense reflectivity from the hard bony tumor with resultant shadowing of the posterior orbital contents. If the intensity (gain) of the ultrasound machine is decreased, the eye-care specialist is likely to see persistentm characteristic very high reflectivity or “brightness” from the tumor. Ultrasound can also be used to measure the thickness of a choroidal osteoma. Radiographic imaging: Computed tomography (CT) can be particularly helpful to see the calcification of a choroidal osteoma in unusual cases. Choroidal osteoma is a benign tumor; therefore, most patients do not require treatment. Choroidal osteoma related vision loss is not usually treatable. On occasion, a choroidal osteoma may be associated with subretinal neovascularization (abnormal blood vessels beneath the retina), which are typically treated with laser. When these abnormal vessels are on top of the tumor or near the central vision, intraocular anti-VEGF drugs may be advised. Eye tumor specialists request that choroidal osteoma is monitored with periodic dilated ophthalmoscopic examinations. Spectral domain-optical coherence tomography analysis of choroidal osteoma.